When reviewing a classic in any medium, it can be hard for a new generation to talk about the importance and significance that a piece of work has had, especially if it's one that has a dedicated cult following. Whether it's due to its narrative structure, artistic value, or how distinct it was from other similar pieces of art, it can become a challenge. That's the position I find myself in when talking about Shadow of the Colossus. Prior to this remaster, I had only had a small interaction with it, when it was made free on PSN for PS Plus users back on the PS3. I only managed to play up to the first fight before I ended up selling my PS3 in order to find something else to play on my new PS4. 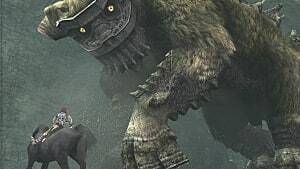 Since then, I could only rely on tales I'd heard of Shadow of the Colossus: discussions about how each Colossus represents different aspects of humanity, how it's able to tell a story with very little dialog, and much more. I've wanted so badly to be part of the discussion, but my brief experience with it wouldn't allow me to join in. Enter E3 2017, where Sony announced that it was allowing Bluepoint Games, the same people who worked on the excellent remasters for the Uncharted trilogy, to remake this classic for modern audiences. 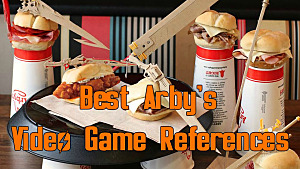 I feel that the only way for me to review this game is to recall my past experience while judging it for what it is now. As it opens, a young man rides his steed with a dead woman lying with him. He rides on to a temple and is told by unknown voices that in order to bring this woman (it's unknown if it's his sister or lover) back from the dead, he must slay 16 giant beings called Colossi ... and that's about it. There is a little more to it, but that doesn't happen till near the end of the game and falls into spoiler territory. 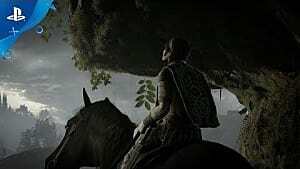 Shadow of the Colossus relies more on its atmosphere and music to give its story emotional depth. The world you traverse through is bleak and feels hopeless, but it's also filled with beauty and serenity. The same can be said about the music, which helps sell this tale and is absolutely at its best when you confront any of the Colossus. 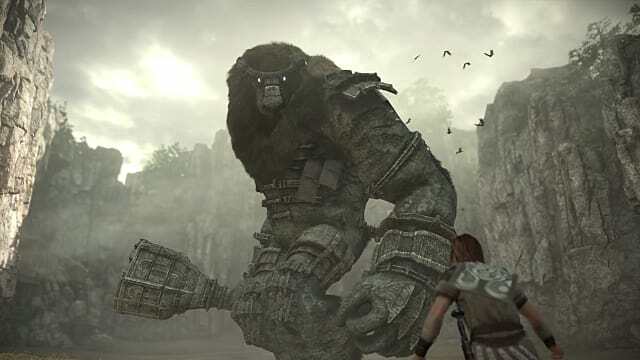 If you just take a glance at a screenshot of the original PS2 version of Shadow of the Colossus, it's pretty obvious the amount of love and care that Bluepoint Games put into remaking this game. 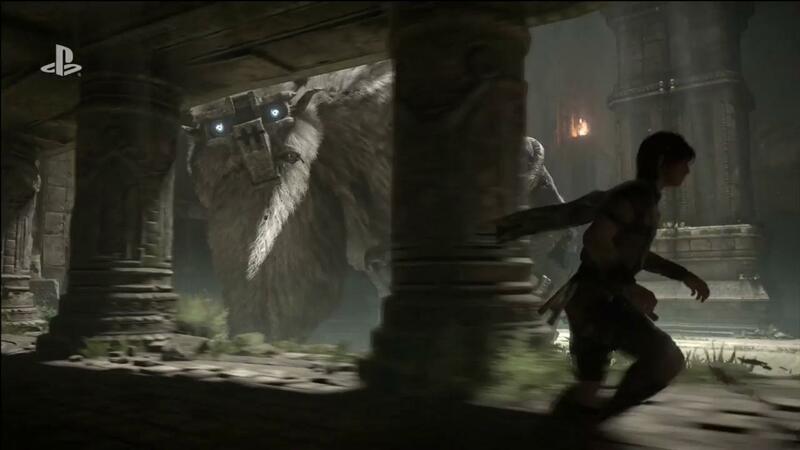 Shadow of the Colossus is one of the best-looking games you can get on PS4. The animations of things like character movement, grass, and facial hair look so natural that they border on realistic. Textures have greatly improved, and the frame rate never buckles. If you have a PS4 Pro, you can even choose to play it at 60 FPS, and while that leads to better controller response, it also adds a bit of phoniness and breaks some of the immersion the game creates. But, it's still up to you how you want to play. 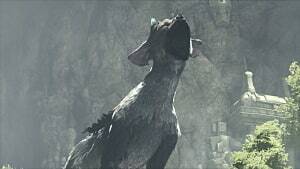 Despite being 12 years old, Shadow of the Colossus still has some of the best art and creature design of all time. The various ruins, grassy fields, and desert lands exude personality, as if they were characters themselves. 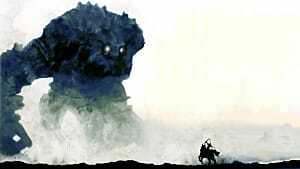 The Colossi are equally pleasing, representing some of the most unique enemies seen in gaming. 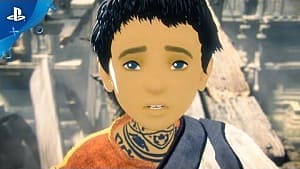 Much of the game reminds me a lot of Twilight Princess and Ocarina of Time; I honestly wouldn't be surprised if Team Ico took some inspiration from the Zelda series and vice versa. In all, this remake keeps all of the original's graphical charm while updating it to make it more appealing, without sacrificing the original intent of its visuals. 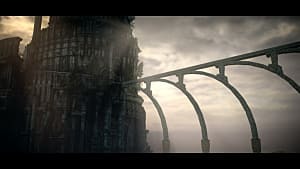 What really made Shadow of the Colossus a classic was not only its visual art style and its unique approach to storytelling but also its equally unique gameplay. The only enemies you fight are the Colossi, and they do not disappoint. 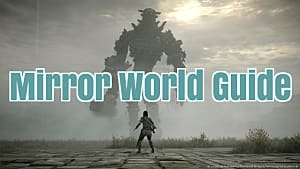 Every encounter feels different and constantly fills you with dread, as each of the giant Colossi looks and feels enormous. Taking them down is simple enough; just stab at the glowing weak points on each of the Colossus's bodies, but it's easier said then done. Getting to these spots has you constantly studying a Colossus's attack pattern and seeing where you can grab on. Making this matter more difficult is having to watch your grip meter, which depletes the longer you hold on. You have to know when to let go and wait for it to replenish. This might sound tedious, but it actually keeps things tense and interesting, as the meter never feels like it will drain as you're about to kill or strike a Colossus. 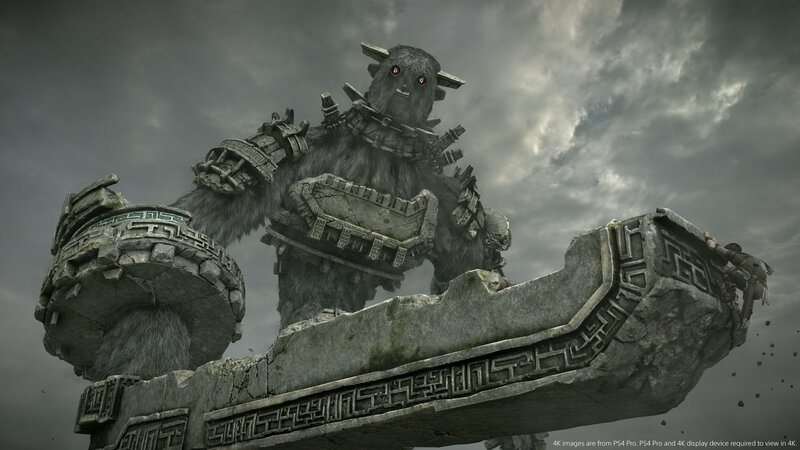 What keeps the gameplay from getting too repetitive are the various forms the Colossi take on. From simple walking giants to birds to sand sharks and much more, each fight feels like s puzzle to solve, and they never feel too complex to figure out. When you finally slay a beast, you'll get a great sense of accomplishment that few, if any, games will give you. While it might be blasphemous to nitpick classic, I do still have some issues with some of the design and gameplay choices. Despite the game lasting just six hours, the sense of repetition does start to set in after long play sessions. You'll use your sword to find a Colossus, fight and defeat it, and then get sent back to the starting temple. While the lack of anything else to do (other than hunting for lizards that increase your grip meter) is intentional and adds to the atmosphere, it can get tiring having to repeat the same process after the first two or so hours. Equally annoying is your horse, which has an annoying tendency to instantly slow down when you're trying to turn. Seeing how integral your trusty steed is to gameplay, it can grow quite annoying, especially when you're fighting a Colossus that practically requires you to have your horse with you. 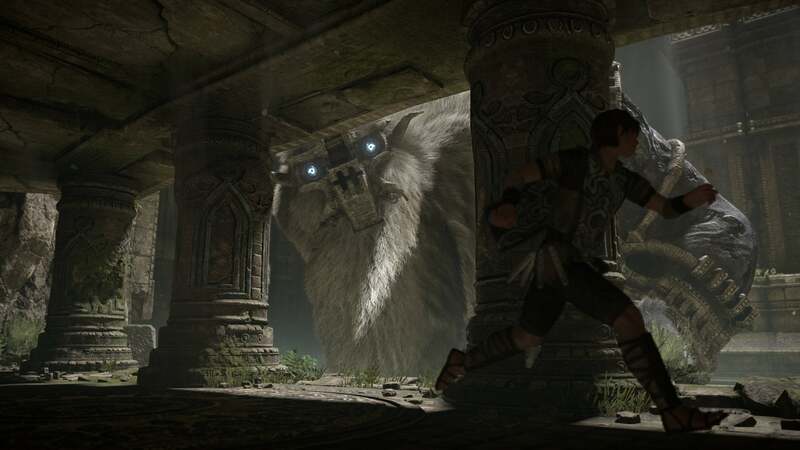 Finally, Shadow of the Colossus could have explained some of its mechanics a bit better. For example, you can only see a Colossus's weak point if you have your sword equipped. You also have a bow you use to slightly hurt and get their attention, but the game doesn't tell you that it won't show a foe's weak point when that weapon is equipped. It's more of a nitpick, but it did cause me a bit of trouble early on. Shadow of the Colossus is still a great game despite its game design becoming repetitive and the fact that some of its mechanics can be quite irksome. There still isn't a game out there that can match its dreary atmosphere, simple but effective storytelling, and outstanding boss fights. It's a one-of-a-kind game that still holds up and that PS4 owners should check out -- especially since it's only $40. It may be flawed, but it's another example that shows that truly great games are timeless. One of the most beloved cult games gets a graphical remake. Read on to see it from the perspective of someone experiencing it for the first time.